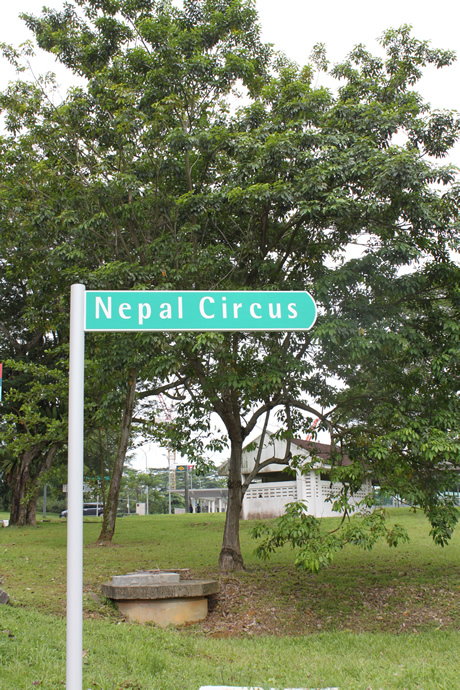 Nepal Circus. I saw this near Fusionopolis. A road sign with a small patch of green and a semi, almost circle road. Just wondering what was this previously. This road sign came up in the earlier this year. Previously, this semi-circle road was un-named and allowed entry to a construction site for the Circle Line's one-north station. Now it is a parking area for people who work around this area.